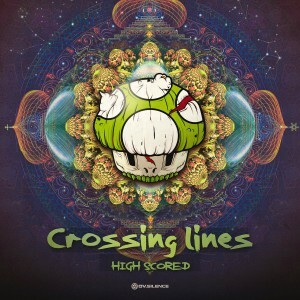 ov-silence Music proudly presents “HIGH SCORED“, the new EP of Crossing Lines. This relatively new combo was formed by the two talented Hamburg-based producers Jan Drapala & Hendrik Werner. Probably both of them are well known in the scene for some of their other projects like Bombax , Hyperion, and J&B Project. They’ve put their heads together to unite their skills and experiences to create a vortex of psychedelic abstract shapes and put them into music. If you are looking for some boring beat to beat action this is probably not for you. This EP is packed full of dynamic switch-ups, clever combinations of soundscapes, rolling baselines, rhythmic sequences, and twisted effects which will take your body and mind to different places. Posted in All Releases, Music, New Releases.Tagged Crossing Lines, Music, Release.